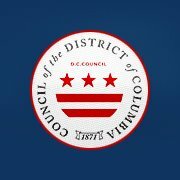 On December 7, Councilmember Mary M. Cheh convened the Committee on Environment, Public Works and Transportation to hear testimony on the Urban Forest Administration (UFA) Reorganization Act of 2011 (B19-894). Casey Trees' Executive Director Mark Buscaino was just one of several individuals to offer verbal and written testimony. We thank the committee for devoting almost three hours to discussing how to best protect one of D.C.'s greatest natural resources - its trees! To learn more about the UFA Reorganization Act, visit our B19-894 devoted webpage or replay Thursday's online chat. To support our seven recommended modifications, send a letter of support today.